This Water Tower Village third floor condo is perfect for first-time buyers and investors alike! This clean and inviting 1 bed, 2 bath, 1 car garage features an open floor plan with abundant natural light, upgraded carper, large kitchen with breakfast bar and dining area that opens to an outdoor balcony. A large master suite with huge walk-in closet, and private full bathroom. Don't miss the full laundry room with W/D and all appliances are included, underground covered parking, storage unit and community amenities that include a clubhouse, pool, and a fitness center. 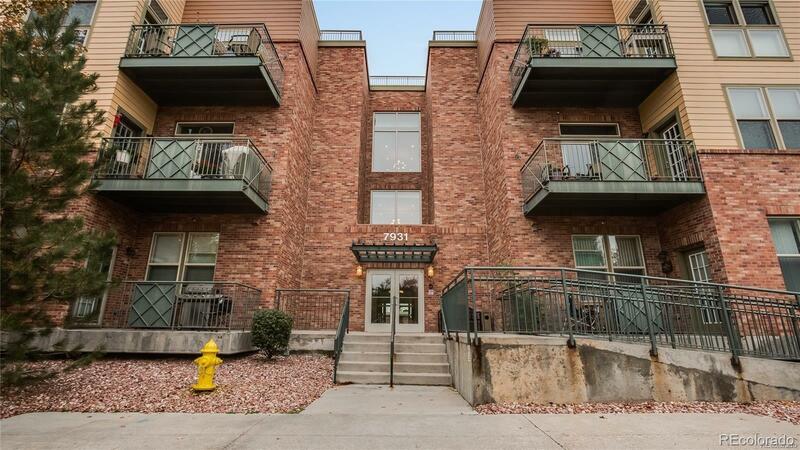 Just a short walk to Old Town Arvada, restaurants, parks, area trails, and the Light Rail is right there for access to Golden and Downtown Denver! These don't last long so call today to schedule a private showing.